I always get asked how to get a strong hold using lace wig tape, one that would last up to two weeks. 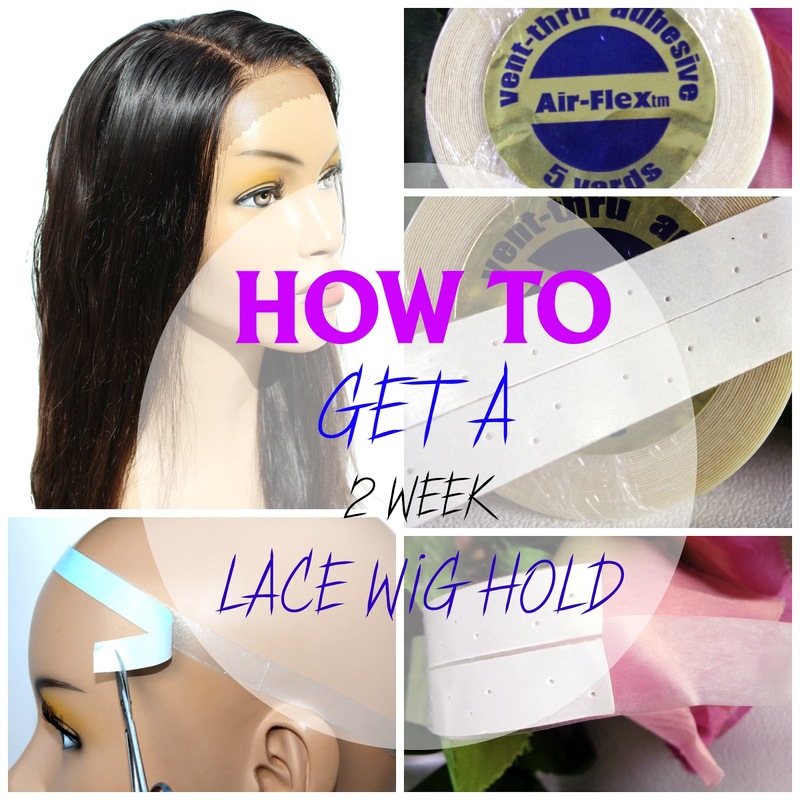 It's really very simple using the Lace Wig Straps along with the lace wig tape will give you the perfect lace wig hold and last until you remove the tape. These straps prevents you from having to use adhesive directly on the skin, instead they act as a barrier to protect the skin from irritation caused by adhesives and sometimes by having the lace wig tape applied directly onto the skin as well. The key to having a great hold starts with a very strong lace wig tape. I have several tapes that I rotate through but for this post I going to focus on what I like about the AirFlex vent-thru adhesive wig tape. It is a very strong tape that has tiny holes throughout the tape that allow for the skin to breath through. This tape is very hard to find so I try and stock up on it when I can. I will also be carrying it in the future in my online store so check back soon to see if I have it available. This tape is very wide, it is 1.5" in width. It is normally used on clients/people that have lost all their hair from cancer or alopecia. I am a alopecia sufferer and I don't have much hair across my hairline so this is why I prefer this tape over the smaller ones that are 1" in width that I sell on my website. Although the 1" tapes fits perfectly on the straps without having a portion of the tape hanging off, I like having the extra portion of the tape to stick to my scalp where I don't have any hair. In this video I show you how I achieve a two-week hold using the Lace Wig Strap and Air-Flex Double Sided Wig Tape. I did it slowly so that you can see each step so the video is 10 mins long. Normally I tie down the wig strap and the wig tape at the same time but I did it separately in the video, but once you have the hang of it, you can do both at the same time. If you prefer a smaller lace wig tap that is 1" in width, I sell them here!